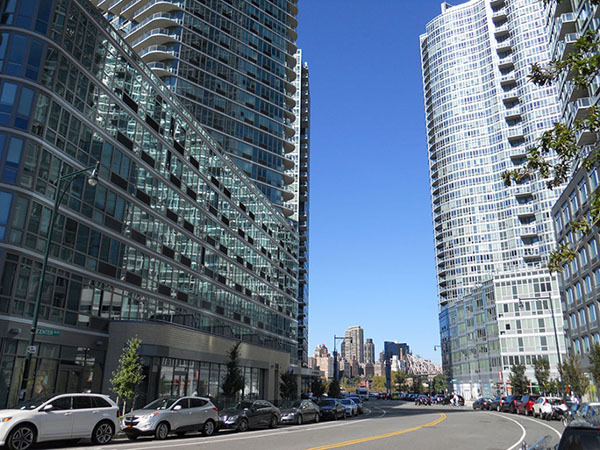 It seems that Long Island City’s well-publicized real estate boom is just beginning, but residential buildings began popping up more than a decade ago. 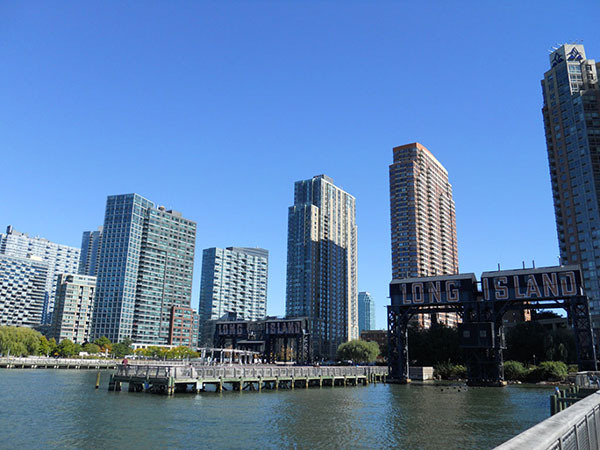 “Once upon a time, Long Island City was a hotbed of industry, but over the last decade, it’s become a hotbed for residential development thanks to a 2001 rezoning” wrote Curbed.com on June 16th, 2014. Today, there are numerous rental buildings under construction in LIC, as it is typically named. 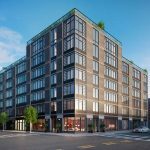 TF Cornerstone, the developers of the Upper East Side’s rental building The Fairfax, has developed six amenity-driven rental buildings on the waterfront’s northern tip. 4610 Center Boulevard is the developer’s latest and final building. 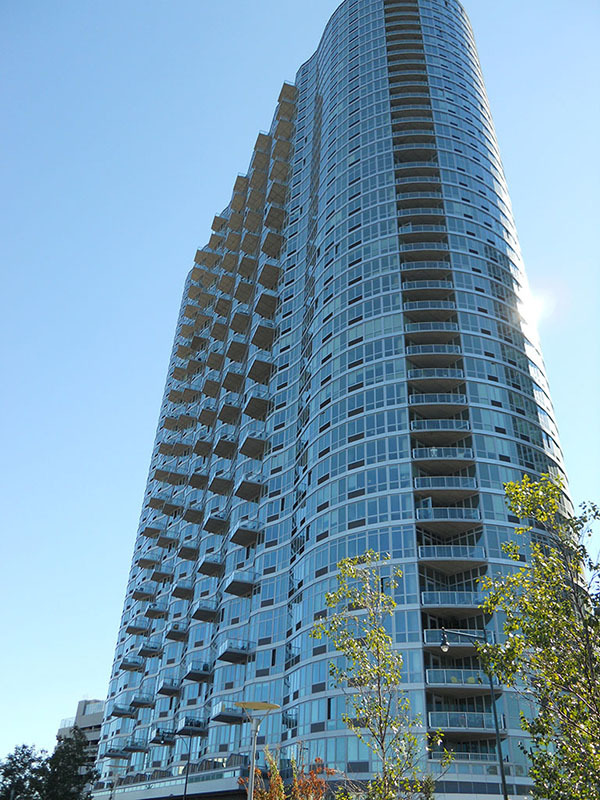 The 26-story glass tower contains 584 units and was designed by the international award-winning architecture firm, Arquitectonica. 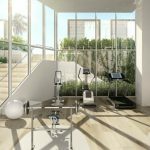 It offers a 24-hour concierge, state-of-the-art fitness center, and a club room. 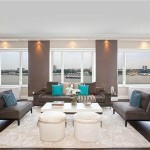 It also features private garden and landscaped terraces with cinematic river views. According to its leasing office, a 1,324 sq. 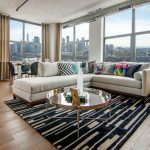 ft. 2 bedroom 2 bath apartment with a balcony with direct river views was available in October for $6,000 a month. A 1,043 sq. ft. 2 bedroom 2 bath apartment with partial river views was also available for $4,575 a month. TF Cornerstone’s rental buildings include 4720, 4540, 4615, 4545 and 4630 Center Boulevard which is a luxury condominium where the monthly rent for a 2 bedroom home is between $4,950 and $5,500. Also on the waterfront, Rockrose’s 4705 Center Boulevard offers 2 bedroom homes from $4,375 and at the nearby Avalon Riverview from $4,265. Throughout LIC rental apartments can be found in all price points including affordable housing. Hunter’s Point South is LIC’s most significant upcoming new development building. 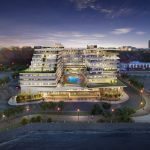 Considered the largest affordable housing complex to be built in NYC since the 1970’s, Hunter’s Point South is a mixed-use development under construction on approximately 30 acres of prime waterfront land. According to the Department of Housing Preservation and Development, this large-scale development will have up to 5,000 housing units. 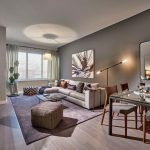 The majority of the units will be reserved for low-to-middle income families. The complex is being built in three phases. Phase 1 consists of 900 affordable housing units developed by the Related Companies, Phipps Houses and Monadnock Construction. According to Curbed.com, TF Cornerstone was selected to develop the 1,100-unit phase two, and the city is still planning the final phase, which will add another 3,000 units. In addition to housing, Hunter’s Point South will include retail space, community/cultural facilities, a new school, parking and a new continuous waterfront park. 5Pointz is another noteworthy new development building in LIC. Being built where the renowned open graffiti building once stood, this mixed-use complex will contain 1,000 rental units which include 210 affordable housing units. Developed and owned by David Wolkoff, 5Pointz will also offer a 32,000-square-foot public park, 50,000-square-feet of street level retail, and a 250 space public parking garage. 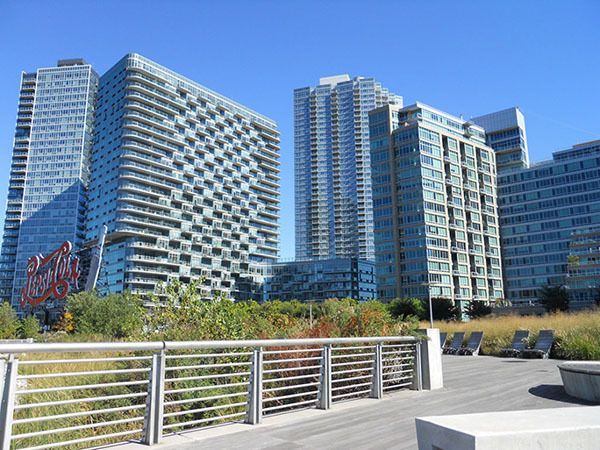 Long Island City offers much more than attractive rental buildings; it has an emerging arts community and a stunning riverside park. LIC is home to MoMA P.S. 1 Museum, the Noguchi Museum and the Chocolate Factory Theater. 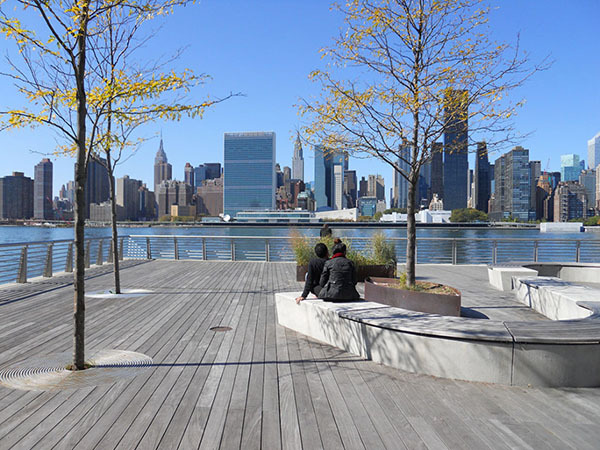 On the East River, Gantry Plaza State Park offers well-landscaped gardens and recreational facilities that include basketball courts, playgrounds, handball courts, and a fishing pier with its own cleaning table. 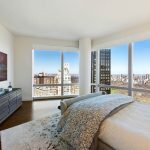 With the magnificent Midtown skyline as a backdrop, Gantry Plaza State Park is best known for the historic 147-foot-long Pepsi Cola sign that is viewable from Manhattan’s East Side. The picturesque park also showcases two restored historic gantries with the word “Long Island” on them. 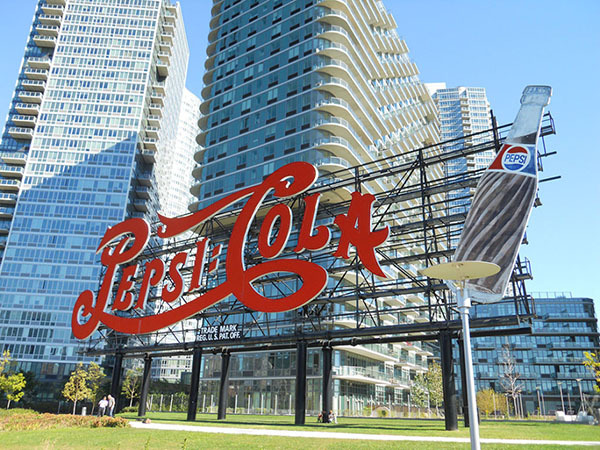 The Pepsi Cola sign and the two gantries are important symbols of Long Island City’s industrial past and are treasured by LIC’s residents. LIC’s residents also enjoy a very efficient transportation system. The Long Island Railroad into Penn Station stops at Hunters Point Ave. The 7 train stops at the Vernon Boulevard / Jackson Ave and the Hunters Point Ave. stations, as well as the Court Square station which connects with the E and M trains. The New York Waterway’s East River Ferry, located on Gantry Plaza State Park, runs from and to Midtown and Wall Street. For those who prefer pedaling across the river, the Queensboro and Pulaski Bridges have scenic bike paths and bike lanes are found throughout LIC’s streets. 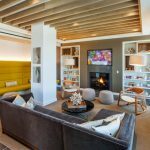 Getting to LIC by train takes less than 10 minutes, so LIC’s proximity to Midtown Manhattan has greatly contributed to its inevitable revitalization. Today, LIC attracts Manhattanites in search of modern rental apartments and higher quality of life close to Midtown Manhattan. All information furnished regarding proprety for sale or rent or regarding financing is from sources deemed reliable, but Corcoran makes no warranty or representation as to the accuracy thereof. All property information is presented subject to errors, omissions, price changes, changed property conditions, and withdrawal of the property from the market, without notice. No it doesn’t. Check your facts!